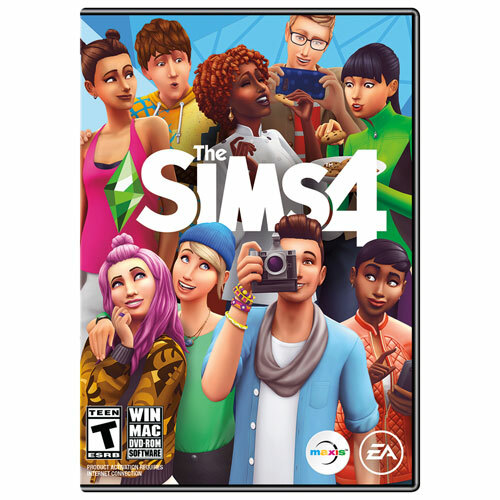 The fourth installment of The Sims series brings the famous franchise to a whole new level. The Sims 4 will be a single-player, offline experience where you can create your own world and the people in it. Use the intuitive tools to show off your creativity and world-building abilities with immersive, engaging gameplay that only The Sims can offer. Be a pinnacle of virtue, a depraved creep, or something in between. I bought this because this has been my favourite game ever since I was a child. But one day, when I decided to play this, it said trial has expired even though I bought the original cd. Can someone help me pls? I've wanted this game for so many years and finally got it, I liked how the sims can react in different ways to different sims and just the overall design. I recommend this so much. The price is very good also for all the things you can do with it. Sims are more lifelike than ever, be it their looks or their actions. Movements are way more fluid and progressive. Multi-tasking is FINALLY here!! Sims can do 3 things at once! For example, a Sim can eat dinner, while they watch tv AND talk to a family member in the room! The creative abilities are better than top notch and really let you do anything you can think of. Definitely recommend. One of my favourite games and is really addicting. this game is great and i love how most things on the game you can do in real life. the game is so realistic and very fun. I love the new Sims4. I find that almost every game mechanic is better than the Sims3. Sure some things are missing but it's far more enjoyable, less lag and less crashing. The new emotions are great too. I've been with the Sims since the first game and this one is really superb. I don't mind the loading screens as they don't last long and there are other sims to interact with everywhere I go. I only miss being able to control sims in different locations. If you've enjoyed past sims games this one is worth it. Of course there isn't a huge amount of content yet but that will come with time. I dislike this game greatly, complete waste of money.